The Hotel Portavescovo offers excellent value in a great location in the centre of the village. 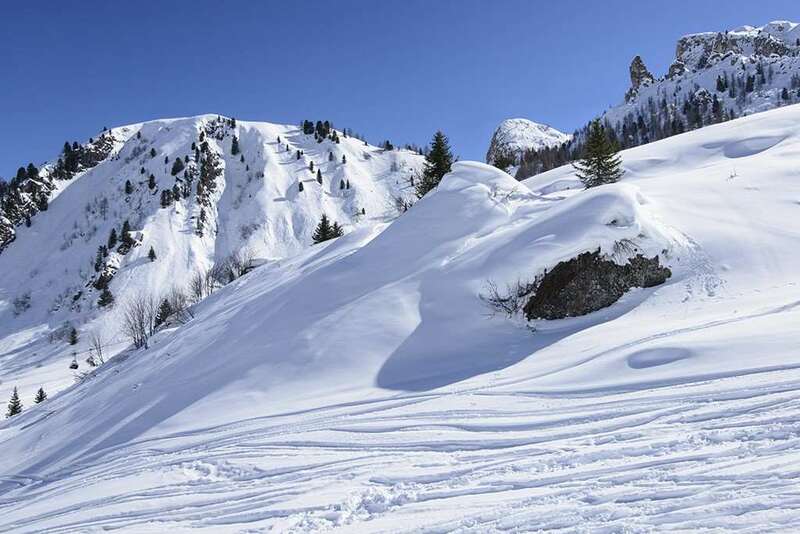 Situated at the foot of the piste you can ski right back to the door, before enjoying Italian hospitality in the popular bar and public areas in the evening. With open public rooms as well as a spacious bar, this is a great hotel which is popular with visitors and locals alike where you can experience a true Italian mountain holiday. 58 All rooms are light and modern in style and have bath or shower, balcony, satellite TV, safe, telephone and hairdryer. Took 8 lads to the Hotel Portavescovo. Despite some people slating the food it was very enjoyable and every one of our party was pleased. The pool is a little small but kept at a good temperature and the sauna/steam and plunge pool a fantastic respite after a tough days skiing. Some of the narrower areas of the piste cut into terribly rough and skiing after 2:30pm was hard going. Plenty of hard faced, arrogant and annoying Germans for sport - life really is too short Colonel Klink. No nightlife - but that suited us: we went for the snow and theres plenty of piste to explore. Biggest plus - it was the most reasonably priced ski resort any of us have been to and the locals were exceptionally friendly. Highly recommended. Excellent location, fantastic food, excellent service, friendly staff. Snow and whether excellent, so many runs and son many places to ski to. Good tuition. Very limited apres-ski apart from Bar Peter in the middle of town, but quite lively. If you want to ski, ski, ski, this is the resort to go to. The price shown includes 7 nights accommodation, with flights from Birmingham.